Vincent Aguettant, President of design, Swiss Arts’ N’ Co interior. 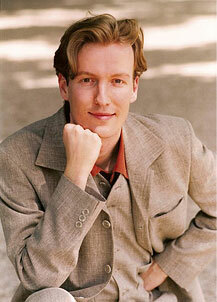 Holder of diplomas of art history, the decoration and the furniture. Boulle school, Academy of Vienna ( A ), architecture-restoration, decoration. With agreements for Historic monuments. Restaurator of the Van Gogh’s House, in Auvers-sur-Oise. 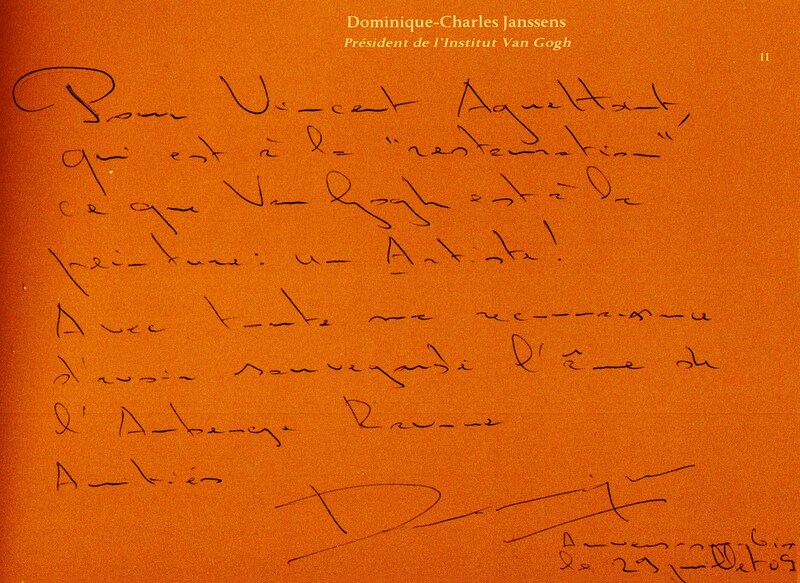 For Vincent Aguettant who is for the “restoration” that Van Gogh is in the painting : an Artist ! With all my gratitude to have protected the soul of the Inn Ravoux. Kind regards. 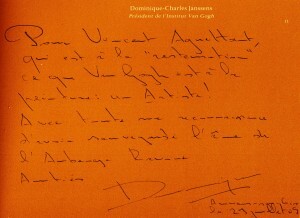 Dominique-Charles Janssens – President of the Van Gogh Institute.